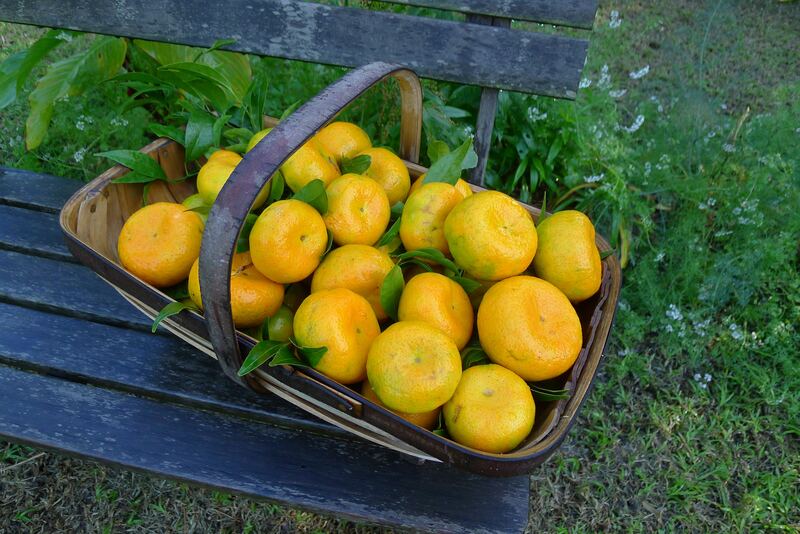 No prizes for guessing where heritage ‘Parramatta Sweets’ mandarins (Citrus reticulata) originated. Hi Jerry – well Karen and I loved your Parramatta Sweets mandarin marmalade we bought at your recent Open Garden Day – Is there any chance of buying a seedling for Parramatta Sweets from you? or even a fruit? It is certainly much more robust than the plants on offer at nurseries. It was my plan to sell the seedlings raised from the fruit that made the marmalade as a package. But I needed an extra two growing weeks to achieve it. Give me your address and I’ll pop one into a mail tube later this spring when they’ve established. My friend Noel (who had a sales area during my open day) has bagged the lot. I’m very happy for him to sell them – his home and garden were destroyed by the floods – and any profit from their sale is my contribution to him rebuilding his life. Hi Jerry, Last summer i fell in love with Achacha and planted lots of seeds. Most seeds came up and one was polyembryonic giving me 3 plants. I’m hoping these will be clones of the parent fruit and they will be the ones for my garden. I would definitely hold on to those and determine their merits. Did you split the multiple plants for potting? From your pics it doesn’t look like you could get enough root for each little plant. Wondering how the multiples would grow together in the long run? Can I buy some Parramatta Sweet seedlings . I live in Murwillumbah NSW. Every year I sell off surplus stock to visitors at my annual Open Day held during the Mother’s Day weekend. If I have any surplus Parramatta Sweets, they will be sold then. I promote my Open Day on this website and my Public Facebook Page. Jerry Coleby-Williams’ Facebook page and website are followed by 43 countries. He answers between 8,000 to 12,000 gardening questions free each year. He answers single gardening questions only.